Known as the Monarchs of the North! Known as the Monarchs of the North, Moose are the largest member of the deer family. 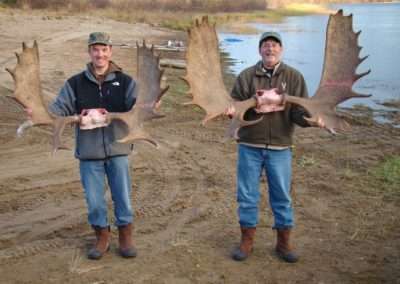 Moose hunting has a well-earned reputation as challenging and, at times, a dangerous quarry. 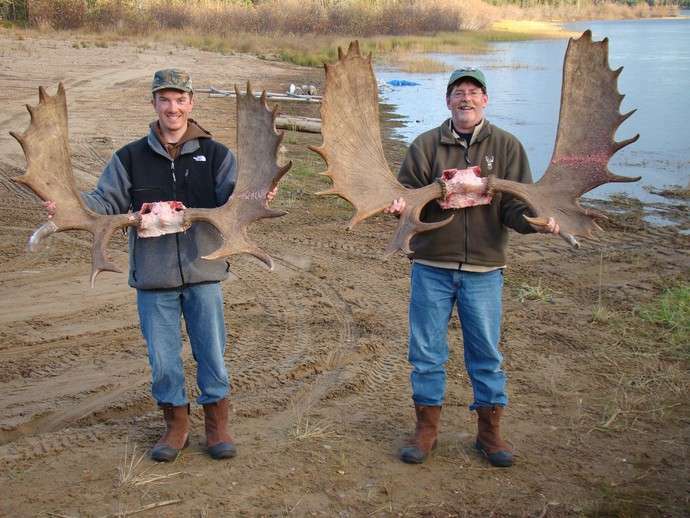 This is a true BIG GAME hunt. 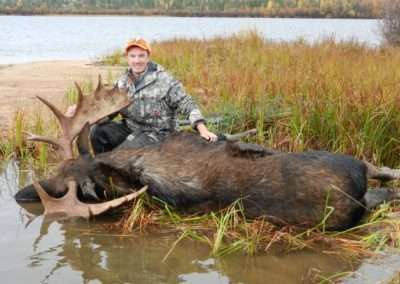 You will understand the meaning of Big Game Hunting when you see the massive rack of a Bull Moose gliding through the Canadian Boreal forest. Success rates are high and we take a limited amount of hunters to keep it that way! 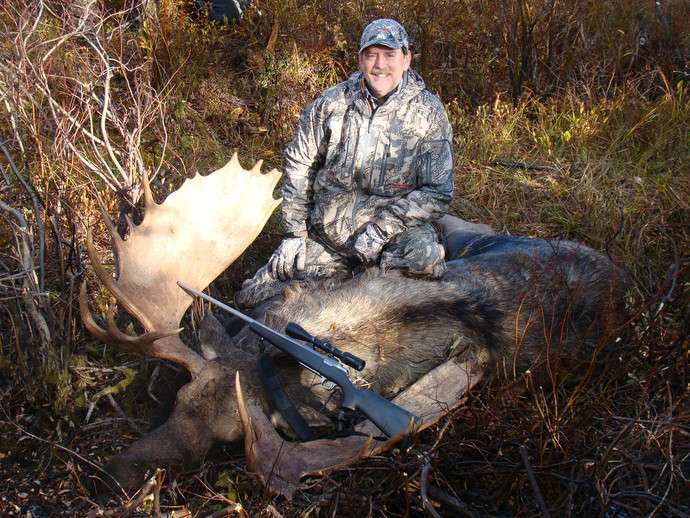 Archery and Rifle Moose Hunts are available, also. All our Hunts are at our Out-Camps & Tent Camps and include accommodations with an electric power plant, full guide service and all meals. The boats are rigged for hunting to give you the maximum in safety and mobility during your hunt. We offer 1 on 1 or 2 on 1 guided hunting packages. After calling the bull, your guide will skin, cape and cool your kill. 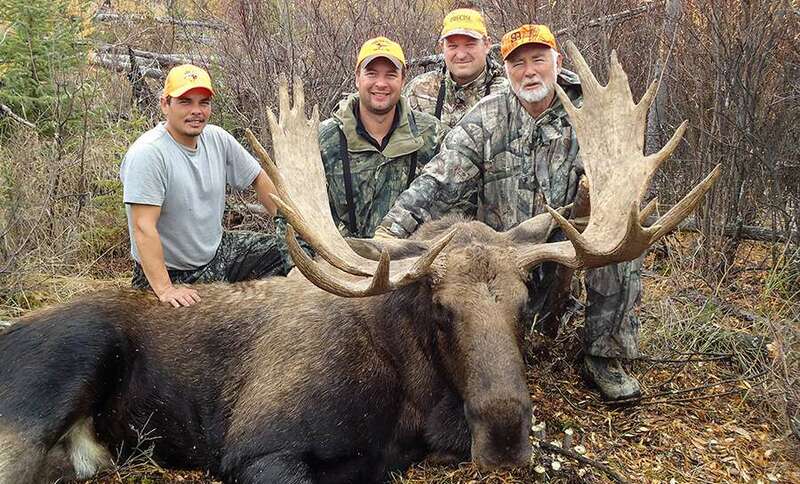 Their experience and expertise will ensure the proper care of your trophy and meat. 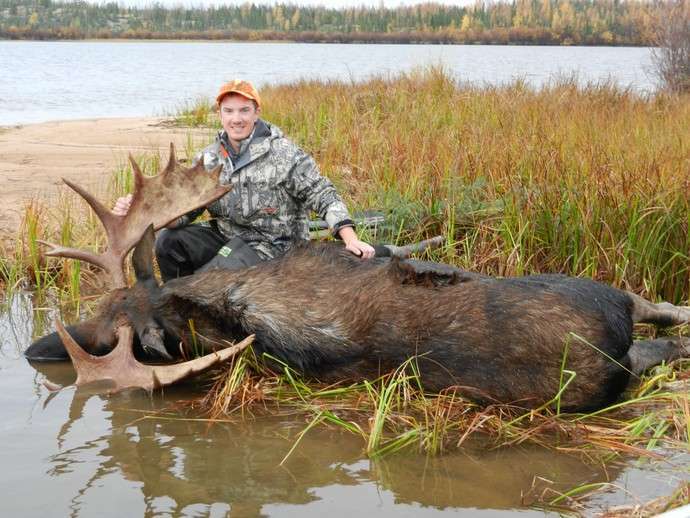 Success rates are high and our hunters have averaged 50+ inch moose with many over 60 inches have been taken in the past 10 years! 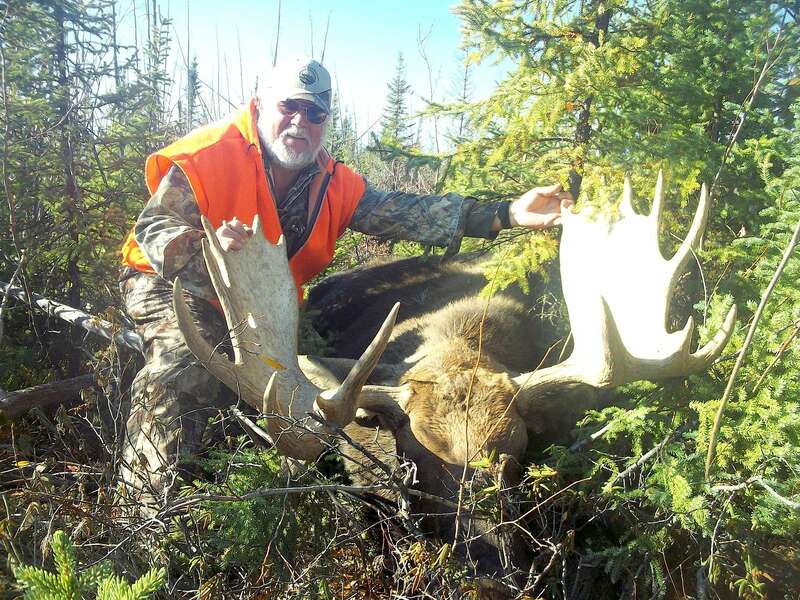 Remotely situated within the subarctic wilderness, the hunting lodges are located 640 miles north of Winnipeg. 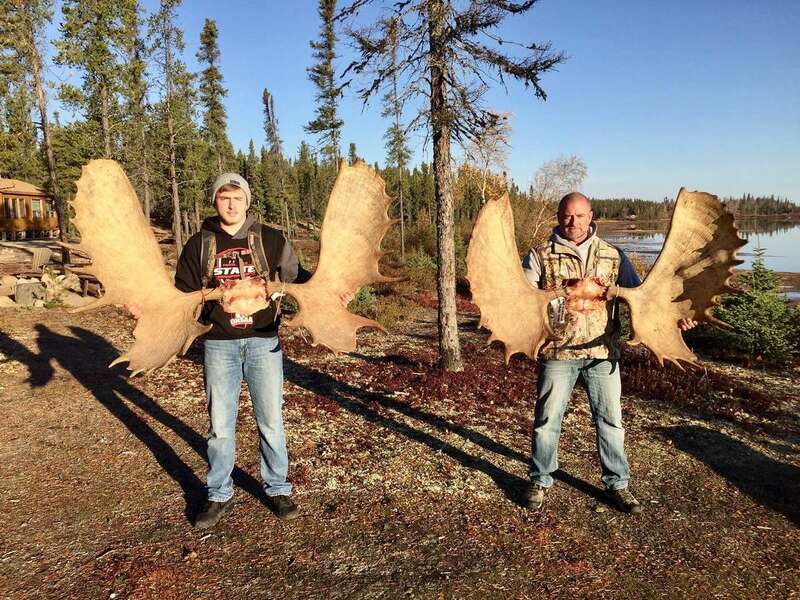 There is no road access to the Moose camps so the only way to get here is to fly. 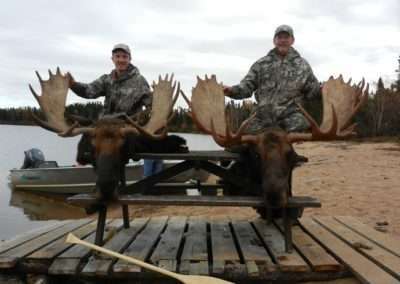 The hunt area includes thousands of acres of remote northern forests and lakes. The remote lakes surrounding the lodge contain an abundance of trophy pike and lake trout. All our hunts are at our Out-Camps and include accommodations with an electric power plant, full guide service and all meals. The boats are rigged for hunting to give you the maximum in safety and mobility during your hunt. Sleeping bags, bedding, towels and even ice are all provided. Transportation of rack, cape and meat to Winnepeg, MB. 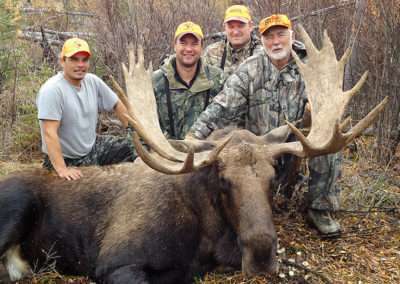 Gage Outdoor Expeditions owns and operates some of the finest hunting and fishing lodges throughout the Americas. From Alaska to the tip of Argentina, Gage Outdoor Expeditions seeks out the world’s premier hunting and fishing adventures so you don’t have to. Every hunting and fishing expedition we offer has been explored by a Gage Outdoor consultant and only the finest venues are represented. We understand your time is valuable & you can’t afford to plan for weeks or months just to have some minor detail ruin your hunting or fishing experience. We travel the distance to bring you “The Best of The Best”. The 5,000,000 acre hunting area in Northern Manitoba consists of a series of eskers left behind by retreating glaciers. These eskers are superhighways for game as you will see as you fly overhead. Animals for centuries have migrated within these structures and the ancient patterns continue to this day, offering the perfect terrain for a quality hunt. The largest in the area, Robertson Esker, runs over 120 miles through our area stretching into Nunavut. Moose, bear and wolf thrive in the Sub-arctic boreal forest. Northern Manitoba is littered with lakes and rivers known as the North Seal River system, which eventually makes its way to The Hudson Bay. 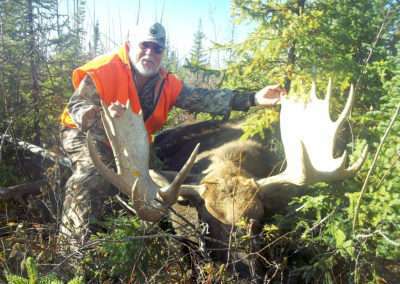 All areas offer pristine grounds for hunting with large, protected waterways to bring you within yards of each trophy. It is beautiful country, built for world-class hunting. This lakes offer fishing diversity at it’s best and their waters are exclusive to Gage Outdoor hunters. 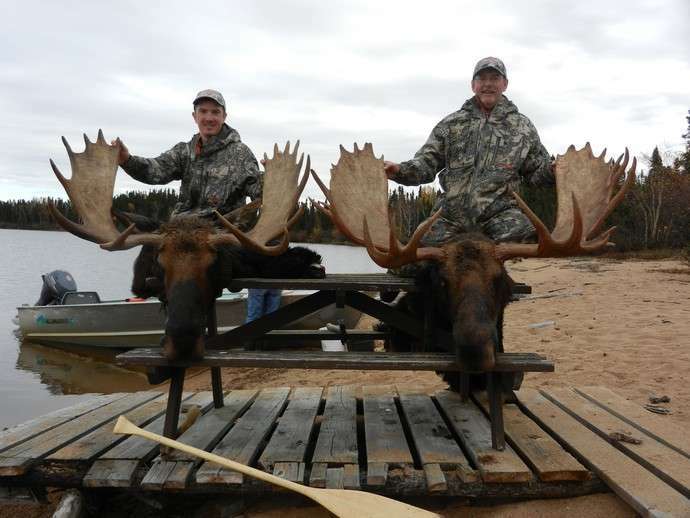 Our Moose lodge and outpost camps are located on surrounding lakes. There are no communities or cabins on the lake, making this a truly remote and very private World Class Adventure. 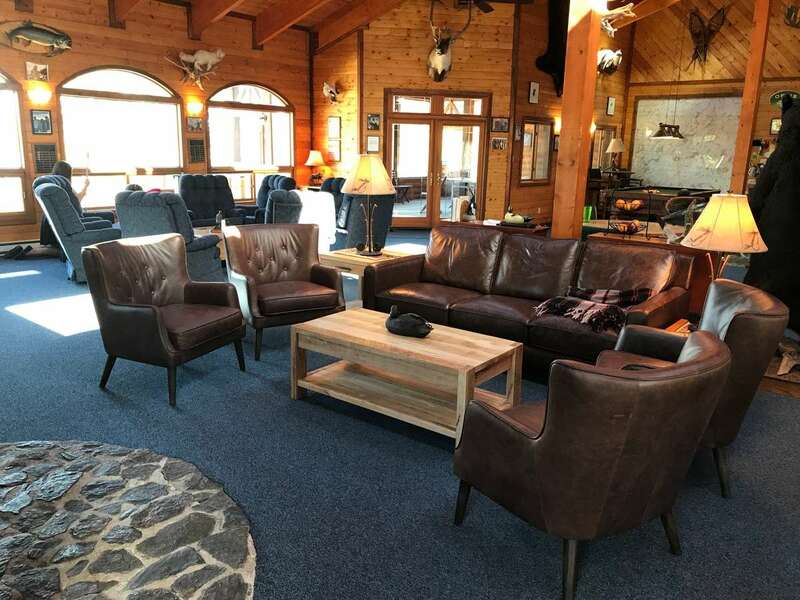 Every year our guests commonly catch and release 20-30 lb plus Northern Pike, 50 lb plus Lake Trout, 3-4 lb average Walleye’s and Trophy sized Arctic Grayling. What can we say 70 degrees is not hunting weather! It seems we have found year over year the weather is getting warmer and Sept 22-29th was no different. A good frost on the 21st had us very hopeful we would see cooler temperatures, but it warmed up as the week progressed. Week 2 caught the tail end of the heat and by the evening of the 29th temperatures dropped to the low 30′s and a huge swing in call response netted us 7 moose by Monday night! An unbelievable change which also brought 30-40 mph wind gusts! What next…well with 1 hunter remaining our 8th bull fell on Thursday. Another perfect week 8 for 8. After much debate we will be moving our weeks in 2013 and will now have our last week of hunting Oct 5 – Oct 12. This will be almost 2 full weeks later than in 2004, so cold weather here we come. 2011 Moose Hunting Results (9 for 9) 100% MANITOBA MONSTER MOOSE……….AGAIN! A fantastic week of hunting saw a huge 57″bull taken by Larry Maybe with a .50 Cal Muzzleloader from under 50 yards shooting a 250 grain bullet one shot was all that was need from this distance. Larry bragged to Rick about the punch this gun had and while at our target range Larry blasted a 1/2″hole in a 3/8″ plate of steel……..from 150 yards!